Perhaps the most important part of being a responsible dog owner is ensuring that your furry canine friend receives two to three walks per day. This is particularly important for larger and more active dogs, as well as those who do not have the luxury of a backyard to frequent. However, despite the best intentions of dog owners across Houston, it is not always possible to find the time to ensure that your dog receives the exercise he or she requires. Between professional responsibilities, a busy home life, and those brutal Houston winters, it can be hard to always find the time to ensure that your four-legged friend receives his or her daily dose of cardiovascular activity. This is where we come in. 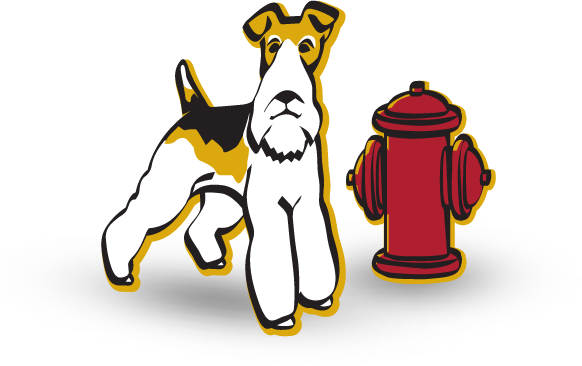 With a wealth of group and solo dog walking experience in Houston, Fireplug Bed & Bath has catered to the needs of a countless number of dogs across our city. Our team of dog walking experts possess all the skill and knowhow necessary to carry out this task in a fulfilling and enjoyable manner. So, if you are in Houston and need some help ensuring your dog’s daily exercise needs are met, there is only one number to call. Whether you would prefer your dog to be in a solo or group setting is completely up to you and we guarantee to treat your pup as if it was one of our own. So, what are you waiting for? Call today to schedule a dog walking appointment. We promise you won’t regret it. Under the closest supervision from our professionally certified dog-walking experts, your dog will have the opportunity to play, walk and run with other dogs in the neighborhood. We select routes and trails that are age and breed appropriate, but regardless of what type of breed you have, you can rest assured knowing that the walk will be interactive, engaging and, most importantly, will cater to your dog’s individual needs. At Fireplug Bed & Bath, we are firm believers in the mantra that failing to prepare is simply preparing to fail, and it is for that reason that we ensure that all our dogs are supplied with water a small number of treats to reward them in our forty-minute excursion through parks and green spaces in your Houston neighborhood.